Characteristic local tastes and gastronomical specialities are served in our 1st class, air conditioned restaurant. The covered terrace lies in the amazing park of the hotel and is able to seat 120 people. Goulash- and barbecue-parties, individual programmes are held here. The wine-tastings, which are organised in our own wine cellar, are very popular and support the quality of the famous wines of Eger. In the beer garden, the lovers of beer are able to choose from various beer specialities. Sauna, solarium, body massage, fitness room and an exclusive non stop drinks bar are at the guests` disposal and colour televisions. 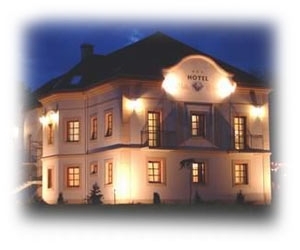 For further information about the hotel click here.